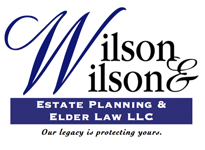 We are Wilson & Wilson Estate Planning and Elder Law LLC, a family owned firm established in 1983 by James T. Wilson (now deceased) and his son, William S. Wilson. Both graduated from Northwestern University School of Law in the classes of 1949 and 1983, respectively. Chicago estate planning lawyer Bill Wilson, a respected attorney, has helped many families protect the health and welfare of loved ones for over 30 years. He and his staff of lawyers concentrate in the areas of Estate Planning , Elder Law, Medicaid Planning, Estate Planning for families with special needs children, Probate, and advising small businesses. All of our firm members at Wilson & Wilson Estate Planning & Elder Law LLC feel a profound obligation to serve their clients through professional, committed, and compassionate legal representation. Crafting a thorough estate plan is essential to making sure that your assets pass as you choose upon your death and that the financial burden on your loved ones is minimized. We can advise people on the estate planning instruments that may fit their needs, and we can help them draft wills, trusts, health care directives, powers of attorney, and other documents. For example, a trust can allow you to pass assets contained in it without going through probate, which can be costly and time-consuming. A power of attorney, meanwhile, can allow someone whom you trust to handle important affairs on your behalf if your health prevents you from handling them. If you need to update your estate plan, our Chicago estate planning attorneys can assist you with modifying it. Certain legal issues may specifically affect aging residents of Illinois. We can assist you with establishing your eligibility for government benefits, such as Social Security, Medicaid and Medicare, and VA benefits. If your initial claim is denied, we can represent you in any appeal that may be needed. Our firm also handles matters related to asset protection and financial planning. Medical treatment, health insurance, and long-term care in nursing home facilities can add up quickly, draining your resources unless you plan carefully to account for these costs. At Wilson & Wilson, our elder law attorneys know how to strategize in these situations and can help you make sure that your loved one or you receive quality care without facing financial difficulties. To protect the interests of children with disabilities, our estate planning attorneys can help Chicago residents craft Special or Supplemental Needs Trusts. These protect assets for special needs children without making them ineligible for government assistance. For example, you might put a child’s inheritance in this type of trust. The rules governing Special or Supplemental Needs Trusts are complicated, but we understand their nuances. We can advise you on how to disburse funds from these trusts without jeopardizing a child’s ability to continue receiving government benefits. If you have recently lost a loved one, you should take the time to emotionally cope with your loss rather than worrying about the legal complexities of probate. This is the process that involves transferring the assets of a deceased person to their rightful heirs, following the instructions provided in their estate plan if it exists. Our attorneys are familiar with how probate works, and we can ensure that you comply with the legal requirements. Probate court also involves setting up conservatorships of incapacitated adults and guardianships of minors. We can assist you in these areas as well. An Illinois resident who forms a trust, a power of attorney, or a guardianship will need to select a fiduciary for it. The fiduciary will have a high duty of care toward you and must act in your best interests. They must carry out the instructions that you provide and refrain from going outside the functions designated for them. At Wilson & Wilson, our Chicago estate planning lawyers recognize the gravity of the fiduciary function. We are ready to undertake this duty for a client who forms a trust or another instrument that requires a fiduciary. If you are starting your own business, you will have many choices to make that can have an impact far into the future. For example, choosing the form of your business can affect your tax obligations, your personal liability for business debts, and your duties toward any co-owners of the business. As your business continues its operations, you likely will need to form contracts with other entities and draft policies related to your employees. Our attorneys can assist you with the business formation process as well as reviewing contracts and policies. If you decide to sell or close down your business, we can make sure that your interests are protected during this process. A guardianship may become necessary when someone loses the ability to handle their own affairs. This can be limited to finances, which results in the creation of a guardianship of the estate. Or it can involve the more general guardianship of the person, which can cover health care decisions and other personal matters. Petitioning for a guardianship for a loved one with a disability can be a complex process, but we can guide you through it with compassion and care. If you have accumulated assets, you may be concerned about losing your eligibility for benefits that cover your health care or nursing expenses. Medicaid is a federal program administered at the state level that helps cover these costs for people with limited resources. Our estate planning lawyers can help Chicago residents with the Medicaid planning process so that they retain as much wealth as possible without losing their Medicaid eligibility. This may involve using non-exempt assets to improve exempt assets, or it may involve transferring assets into a trust to preserve them for your family, among other strategies. The aging process can complicate the task of driving a car. Many elderly people feel that keeping their driver’s license is important to their independence and dignity, however, and we understand their perspective. If you are facing a hearing to determine whether your license should be suspended or revoked, we can represent you against the government. We also can fight for senior citizens who have received traffic tickets that may put their continued ability to drive at risk. On the other hand, if you feel that a loved one is no longer a safe driver because of their advancing age, we can guide them through this transition in a way that preserves their independence in other forms. At Wilson & Wilson, we understand the sensitivity and gravity of the issues faced by elderly residents of Illinois and their loved ones. We are ready to listen to your needs and act aggressively to protect your interests. If you are unable to meet with us at our office, we are ready to come to your home or to a nursing home or hospital. Contact us at 708.482.7090 or through our website to set up an appointment. While we recognize that discussing estate planning and elder law issues may be emotionally challenging, taking prompt action is often critical in achieving your objectives. Read a recent article written by Marilyn Soltis titled Elder Mediation in our Articles and FAQs section. Read a recent article written by Partner Bill Wilson titled "Making POA's Work for You." Please see our "Estate Planning Deficiencies Check-Up." Our Chicago estate planning lawyers and elder law attorneys often speak at events, seminars and association meetings. Please contact Tammy Vogele at 708.482.7090 or email t.vogele@wilsonwilsonllc.com for more information and scheduling. 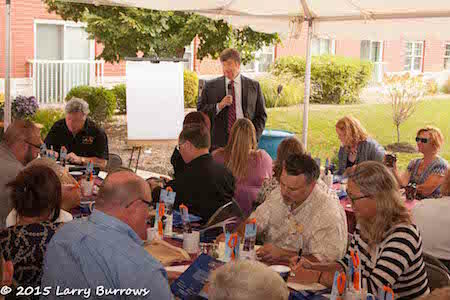 Bill gave another great presentation at Christ Church in Oakbrook, IL. Please listen and learn what is necessary to have for a comprehensive Estate Plan.